Experimental and improvisational, DEERHOOF has been making their eclectic mix of joyful noise since forming as a bass/drum duo in 1994 in the San Francisco Bay Area. Adding Satomi Matsuzaki’s unique voice (just a week after she moved to the United States!) gave them a sing-songy melodic sense over the sometimes proggy, sometimes punky music created a distinctive sound for the band. Guitarist John Dieterich joined the band in 1999 and Matsuzaki added bass to her musical duties, the band has settled into a four piece with founder Greg Saunier still on drums and Ed Rodriguez on guitar. 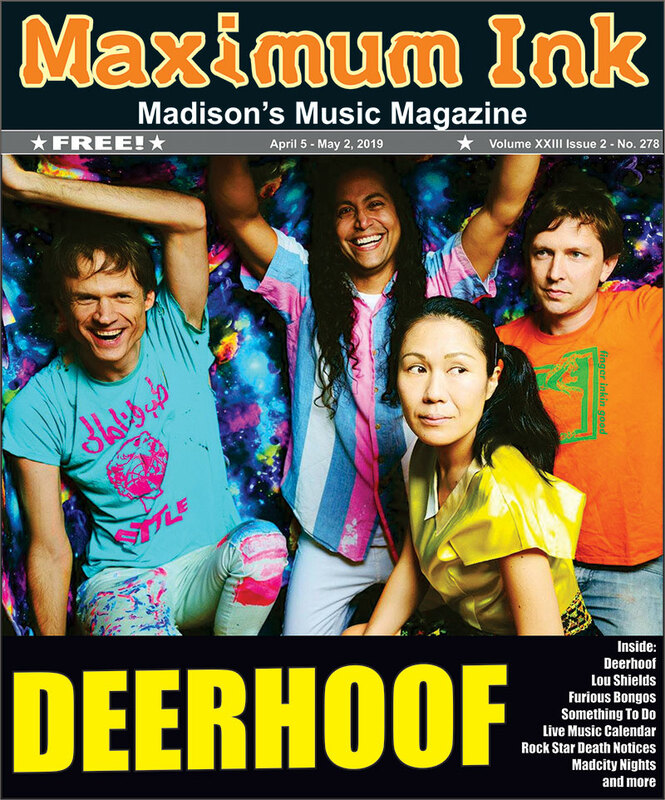 DEERHOOF is going back on tour and will be playing The Sett at Union South on April 20th and the first thing that I had to ask John about the band was how they stayed together for over two decades, which is about a millennium in band years. “Well, we don’t live in the same house, so that helps.” he laughs. “We don’t even live in the same city. We all moved away from the Bay Area about ten years ago. It was good for us to live close to each other for a long time and want to kill each other and develop together. And then it’s also good for us to live in different places now. Honestly, we were just on tour recently on the East coast and we all thought it was the best tour we’ve ever done both musically and just in terms of fun. We hadn’t played in six months and so it was just really fun to see each other. We’re lucky, we really like each other. With fourteen albums, often recorded by the band themselves, one of the best parts about DEERHOOF is that you never know what’s going to happen next musically. They can switch from a driving punk song to an airy and atmospheric piece to an achingly beautiful cover of “Midnight, The Stars, and You” from The Shining. So, how do they keep coming up with something unexpected? It comes down to the diversity of influences we were discussing. “Sometimes the things that may sound surprising or shocking in the context of a rock band or a pop band are not that far afield depending on the kind of music you’re listening to.”, he says.